While the debuts of Ján Johanides, Rudolf Sloboda, Peter Jaroš, Ladislav Ballek and Vincent Šikula were influenced by modernism or neo-modernism, the end of the 1960s witnessed the first attempts at postmodernism in Slovak prose. Already in the early books of Pavel Hrúz, Dokumenty o výhľadoch (Documents on Outlooks, 1966) and Okultizmus (Occultism, 1968) we find postmodern elements such as intertextuality, the ironic attitude of the narrator, the plurality of voices, the eclecticism of languages and styles, the blending of mass and elite cultures, nostalgia for the past, the fragmentation of the text, a playfulness of words, sentences, units and perceptions, and so on. Hrúz’s protagonist is often a man on the fringe of the society, confronting power because of his being different. The title of Pavel Vilikovský’s debut, Citová výchova v marci (Sentimental Education in March, 1965) is in the words of Peter Zajac (from the epilogue to the 2005 edition of Vilikovský’s works) a paraphrase of the title of Gustav Flaubert’s novel l’Éducation sentimentale (1869), which itself makes reference to Jean Jacques Rousseau’s novel Émile ou de l’éducation (1762). Vilikovský also makes use of the implicit citations inside his short stories while drawing attention to the relevant problem of his creation – parodically created sentimentality (also in subsequent texts such as Eskalácia citu, Escalation of the Sentiment, 1989, and Slovenský Casanova, The Slovak Casanova, 1991 – written with Lajos Grendel Krutý strojvodca, The Cruel Engine Driver, 1996). 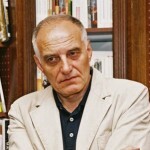 However, postmodernism in Slovakia did not develop further in the ensuing years because of circumstances outside the domain of literature – Pavel Hrúz could not publish for political reasons, while some of the texts of Pavel Vilikovský written in the 1970s were also not published.